Auditing: A Practical Approach, Extended Edition provides a concise, practical, and readable option for students studying auditing at an undergraduate and postgraduate level. The text reflects how a quality audit is conducted in practice and the issues that are of greatest concern to industry professionals. Acknowledging the educational trend of teaching auditing with an industry and practical focus, the text will effectively develop a student’s understanding of the various stages of an audit and how a quality audit is conducted in practice. 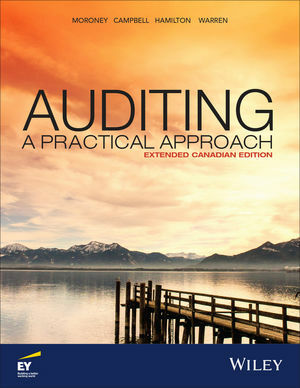 For those wanting to cover the auditing cycle in greater depth, this new extended version is available for you with four new chapters.